When you are diagnosed with Hodgkin lymphoma, the report of the biopsy may indicate the type of Hodgkin lymphoma that has occurred. There are five main types of Hodgkin lymphoma. They differ in whom it affects, the parts of the body more likely to be affected, and in what stage it is usually diagnosed. 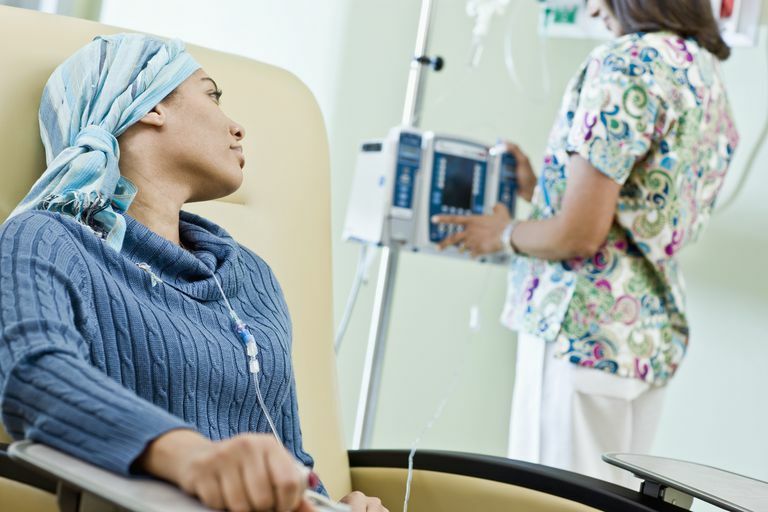 Does the Treatment of Hodgkin Lymphoma Depend on the Type of Disease? Usually, the exact type will not change the treatment options. The treatment of Hodgkin disease depends mainly on the extent of involvement (the stage) and not on the type of disease. In certain circumstances, however, the type of disease may predict the chances of certain areas of the body being affected and may influence the doctors’ choice of treatment options. If you have questions about your diagnosis and treatment options, discuss them with your healthcare team so you understand them to your satisfaction. This is the most common type of Hodgkin lymphoma. In the developed countries 60-80% of the people affected by Hodgkin disease have the Nodular Sclerosing subtype. It is more common in females and mostly affects younger people—adolescents and young adults. The disease mainly affects nodes in the neck or armpits, or within the chest. This is another common type of Hodgkin lymphoma, with 15-30% of those diagnosed have mixed cellularity disease. This type is more common in developing countries. People of any age may be affected. Males and females are equally affected. This type of disease is more likely to involve the abdomen than the more common nodular sclerosing variety, and less likely to involve nodes within the chest. The lymphocyte depletion subtype is a very rare form of Hodgkin lymphoma that makes up only about 1% of those affected by the disease. It is seen in older people and is often diagnosed in an advanced stage when the lymphoma has attacked different organs of the body. It is also more common in those who are HIV infected. It may be seen in the abdomen, spleen, liver, and bone marrow. This is another uncommon subtype that makes up about 5-6% of Hodgkin patients. It is more frequently seen in males and affects people most commonly in their thirties or forties. Most individuals are diagnosed in early stages and response to treatment is excellent. It is rarely found in more than a few lymph nodes and occurs in the upper half of the body. This type is now considered to be a special type of Hodgkin disease that is different from the other types mentioned above, this variant accounts for 4-5% of all cases of Hodgkin disease. According to pathologists this type has many similarities with Non-Hodgkin lymphoma (NHL). In all clinical aspects, however, the features are similar to the lymphocyte-rich type of Hodgkin lymphoma. Most individuals are diagnosed early and do very well after treatment.